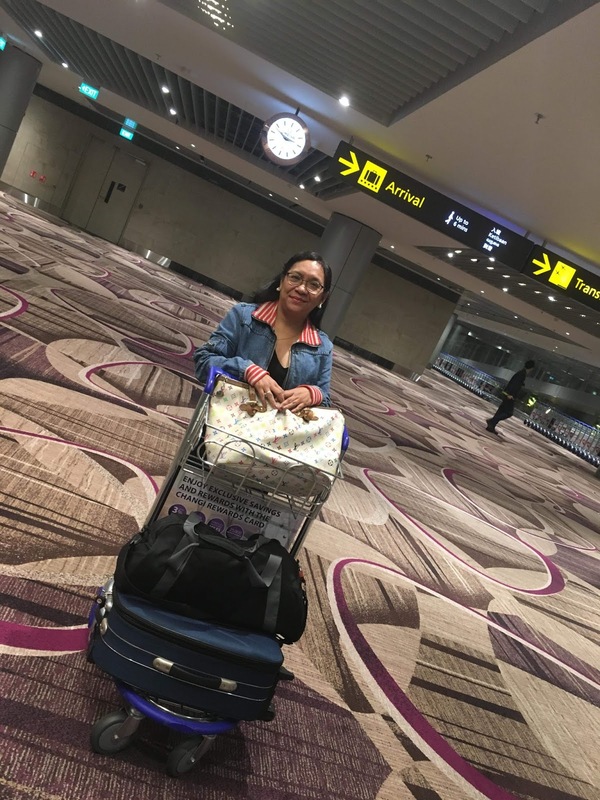 A few days ago was my birthday and the Lord blessed me to celebrate it in Singapore. Singapore is known as the melting pot in Asia because people of different cultures blend with one another to form a singular society. It is also a haven of mix cuisine from China, India, Malaysia & Indonesia. Singapore is also a paradise for shopaholics around the world. I am not a shopaholic, but I enjoy buying a few pieces, especially if they come in very cheap. The purpose of my trip in Singapore was just to visit some of its popular tourist spots. I stayed there for 3 days & 3 nights, so I don't have plenty of time to visit all the known places in Singapore. I went to Kampong Glam which is a national heritage district in Singapore.To get there, I rode the MRT to reach Bugis Station and it is a station away from Lavender, where I am staying. After going around Kampong Glam, I continued to walk until I reached Bugis Street and I went crazy looking at the various goods sold by the merchandisers. Bugis Street is the equivalent of our Divisoria or the Ladies' Market in Hongkong. Bags, shoes, men, women & children apparel, trinkets, chocolates, food stands and various souvenirs abound this place. 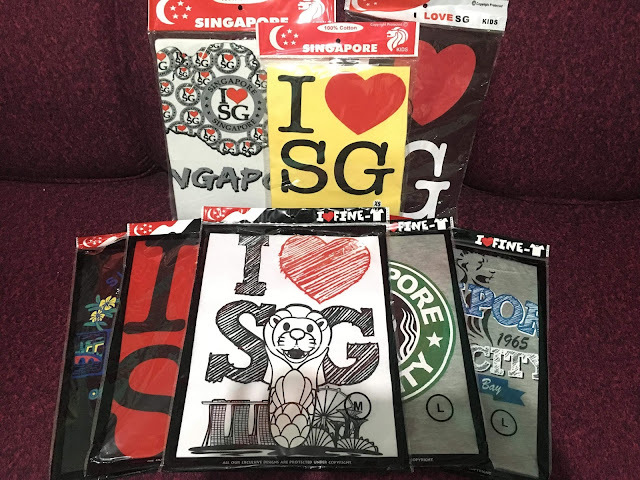 Cotton t shirts with different Singapore logo designs are sold for 3 at 10 SGD. I was able to buy it in a stall selling it at 4 pcs at 10 SGD. Key chains are sold for 10 SGD at 24 pcs, but I found a lone stall at the end of the market selling the same key chains for 10 SGD at 30 pcs (that was such a bargain)! 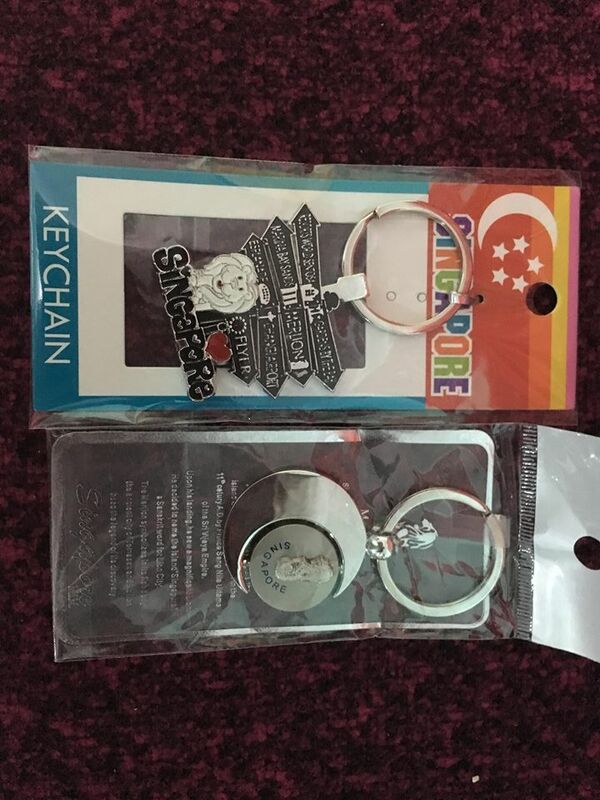 This 2 key chains, I bought for myself are priced at 2 SGD each. 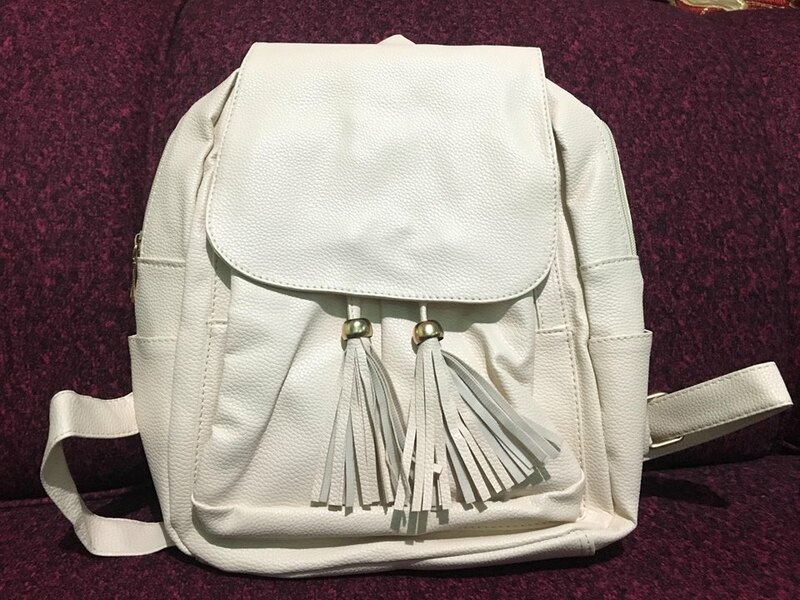 I bought this cute back pack at 10 SGD. While at Chinatown MRT, I spotted a store selling all chocolates at 1 SGD each (ang sarap mag panic buying kung marami kang datung)! 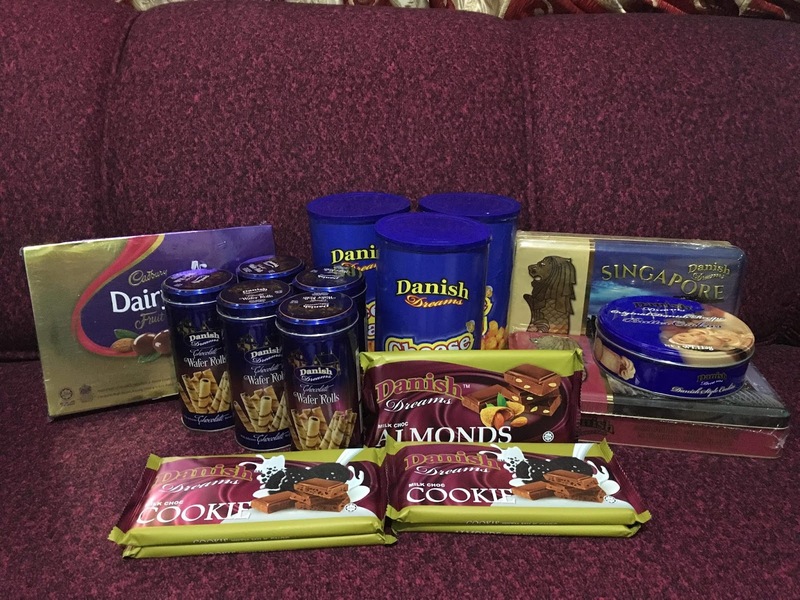 The name of the store is Valudollar, which has several outlets in Singapore. In Jurong East, IMM Mall is selling branded items at 80% discount all year round. 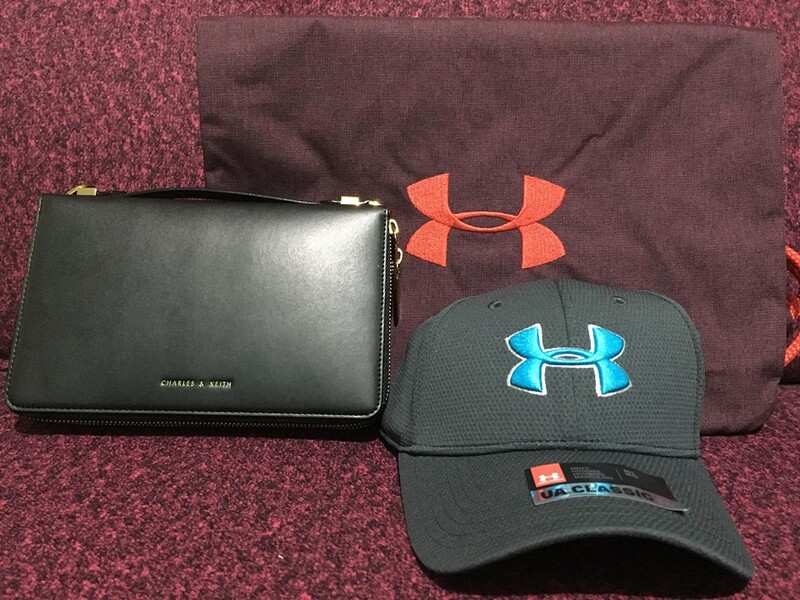 I bought a Charles & Keith bag and an Under Armour cap & string bag. 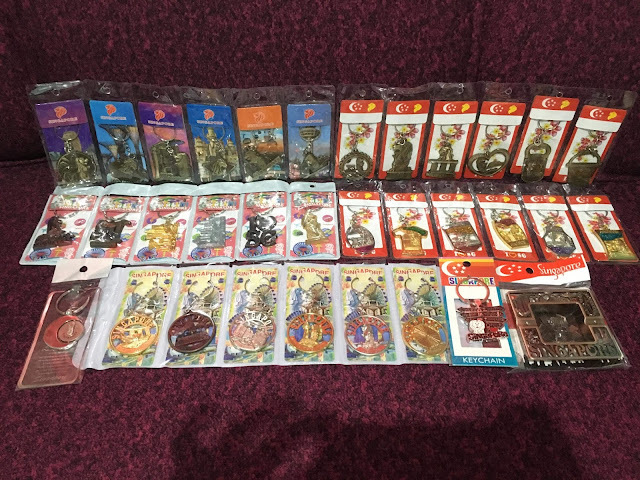 Those are my small haul from Singapore, which I happily share with you. Thank you for reading. Stay tuned to my coming Singapore post.